The crystal cairn was redirected to this focus last week, and in addition to tonight's meditation can be connected to at any time, through meditation, prayer or positive thought, to empower its healing. Just to let everyone know that this weeks meditation will be tomorrow, Tuesday. Focus will be posted then! With the declaration of Famine in South Sudan yesterday and further warnings that Somalia, Yemen and parts of Nigeria are on the brink of Famine, the crystal cairn at Old Nisthouse, Orkney has been redirected to help all in distress as a result of famine across the globe. The cairn can be connected to at any time, through meditation, prayer or positive thought, to empower its healing and help those in need. The focus for tonight's meditation through 8PM GMT is to send peace and healing to the Earth and her inhabitants using the heart shaped chunk of rose quartz shown below. Hope you can join us in meditation, positive thought or prayer from where ever you are based across the globe. 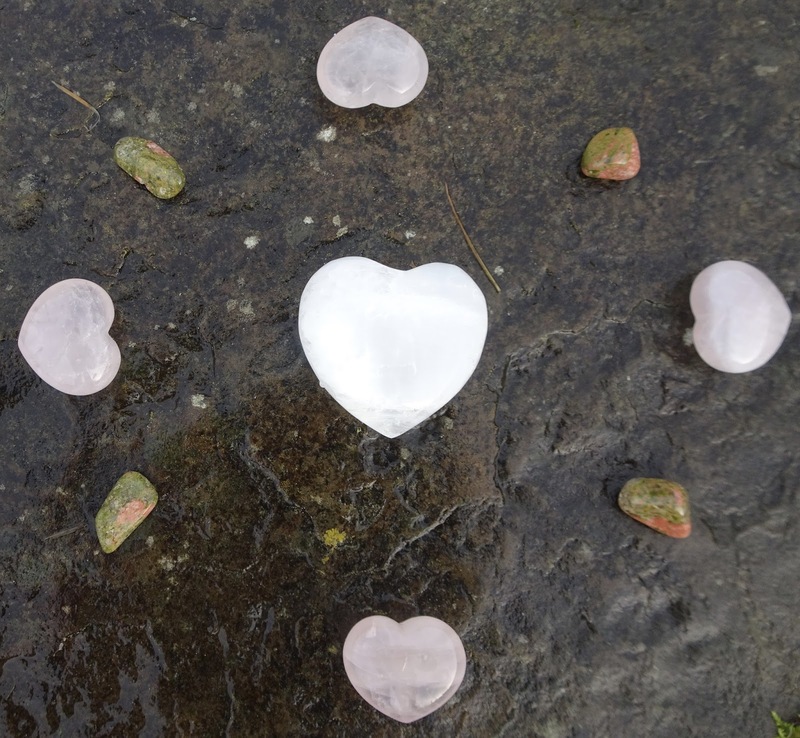 Tonight's meditation is the third in our series of global meditations focusing on 'Unity through the purity of Heart Connection', using the crystals shown below. Hope you are able to join us in meditation, positive thought or prayer through 8pm GMT tonight. Tonight's meditation through 8pm GMT will be use the same focus and crystals as last week, see posting for 30.01.17. Hope you can join us!